Since the UK’s Counter Terrorism and Security Act 2015, British higher education institutions have been implicated in the fight against radicalisation. These Acts set out the framework for a counter-terrorism model which is based on the prevention of certain kinds of language they would deem inflammatory. However, in practice, it has imposed restrictions on young people who are willing to debate about critical subjects. 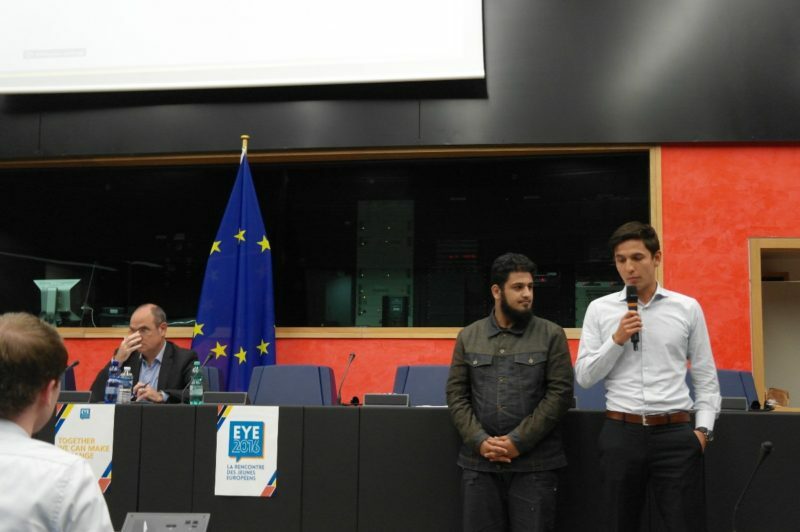 At the European Youth Event (EYE), on the other hand, a completely different model was carried out to address these issues of terrorism and radicalisation. Young participants were provided with a platform for discussion and given one sole instruction: to speak completely freely. Shortly after, these young minds found themselves absorbed in controversial debates, brainstorming together for new solutions. The room was divided into 10 discussion groups, each of whom were given the opportunity to put forth their innovative solution to countering terrorism. An online submission and subsequent voting system allowed participants to share their own solution and rank final results. The top results were those considered to have the most potential in successfully countering radicalisation. The solutions ranked in the top three had a striking common point: they promoted the need for a change in mindset amongst Europeans. 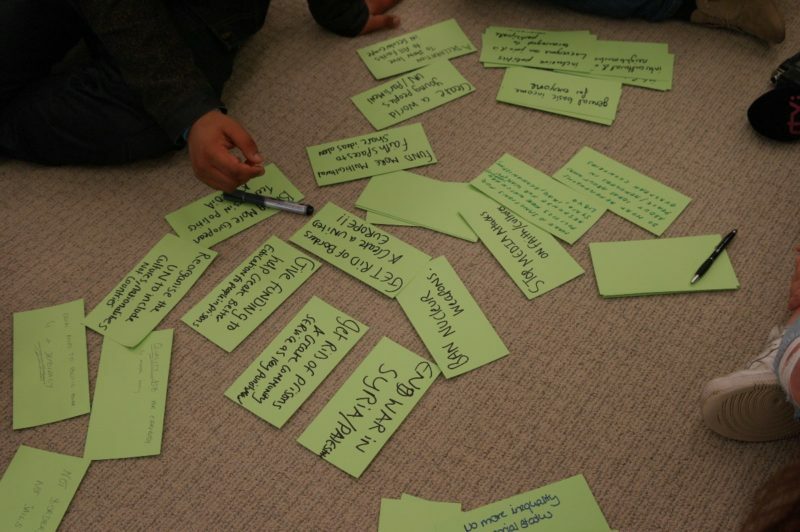 The first solution suggested that we recognising migrants’ qualifications. The second solution cried for less nationalism and more solidarity and, in third place, came a proposal to provide open-minded religious education. Moreover, suggestions like education is the key, religion is not a taboo and ending the war in Syria were discussed. Jaume Duch Guillot, director for the Media and European Parliament Spokesman explained that, “We are confronting by another kind of terrorism today” and spoke of the importance of unity in our fight against terrorism. The major turnout of this event is a prime example of how young people want to and are able to critically engage with controversial issues, such as radicalisation, while providing innovative solutions of their own. This event has shown that our youth does not want to avoid controversial subjects, but instead engage with them. An intriguing point made was that most of the policy actions were in place and were dealing with the current problems in Europe, but what was missing to make a real impact with the European Union was the political willingness of the EU´s member states, not the EU. 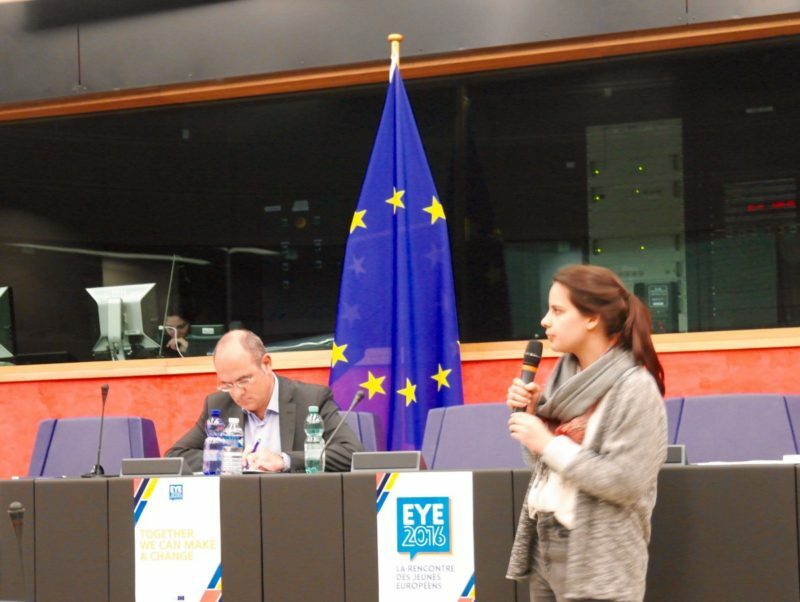 Another striking element of this event was that the solutions provided were extremely liberal, and the way in which they are ranked show a true desire among European youth to preserve liberal values at the forefront of the political agenda. This, of course, comes in a stark opposition with their representation on national levels. In Europe, recent political trends have seen a shift toward conservatism and a renewed sense of nationalism which begs the question: how well represented are our youth? One certainty remains: radicalisation in Europe mostly affects the younger fringes of our population. Therefore, choosing a united path toward encouraging our youth’s engagement in such issues through platforms of free speech, as the EYE has provided this year, will be instrumental in tackling radicalisation.